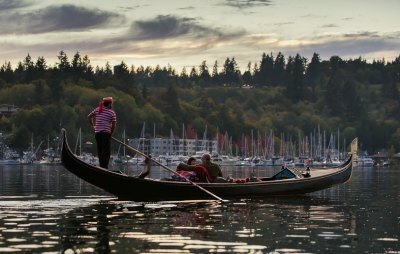 Step on board the only Venetian gondola in the Pacific Northwest and let the stress melt away while you relax and enjoy the sights and sounds of the beautiful Gig Harbor waterway. 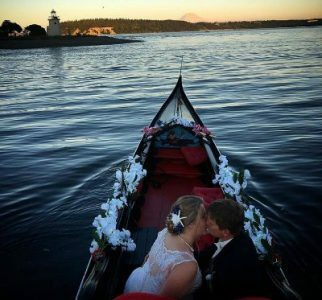 This is a perfect unique way to celebrate life’s special moments.. Anniversaries, Birthdays, Vacations, Love… on the water. 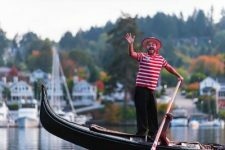 Gondolier John is a professional that loves to meet his guests personally and even sings to them! 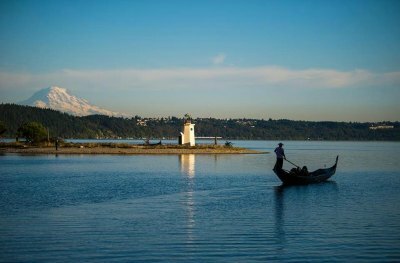 Each cruise comes with a delightful appetizer of salami, cheese, crackers and fruit prepared by our local Harbor General Store, and guests are welcome to bring any beverage (Yes, wine) they desire. Come celebrate life’s special moments, or just book a cruise to experience a slice of Venice, Italy. 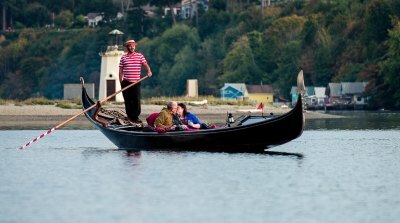 Nelly is the name of the gondola, and she is available for photo and video shoots, weddings and private parties. 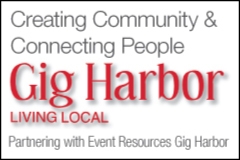 Have lunch or dinner along Gig Harbor and the gondola will drop you off or pick you up. Yes, guests are allowed to customize their pick up and drop off locations. Call to make reservations or inquiries. 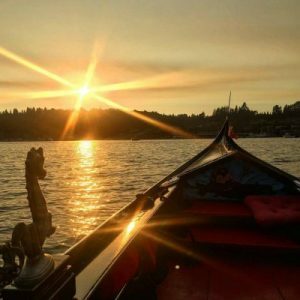 Explore the Facebook Page for the latest news: https://www.facebook.com/GigHarborGondola/ Grazie! Reservations can be made for 60 minute ($85/two people) or a 90 minute ($115/two people) ride. We’re open year round and during the month of December night cruises are great for experiencing the holiday lights along the water front.